After 2 weeks of working nonstop on cleaning, painting, and moving into our new house, moving out and cleaning our old house we are finally starting to see the light at the end of moving. We closed on our old house on Monday and we are so happy to be home! We could definitely be in the honeymoon period, but we are all loving the change! Carter and Reid are amped just running around and exploring everything. They haven't mentioned once about not having a backyard. We have been taking walks on all the walking trails and throwing rocks in the pond and playing at the playgrounds in our neighborhood! When we got back into our house (we had rented it for 18 months) it was in good shape, but it smelled different. And if you know me, I am super sensitive to smells and if I don't like the smell of something I'll let you know! So the next day I ordered a new diffuser (mine stopped working a few weeks ago) and set out a few of my favorite Vanilla lemon reed diffusers (no longer available- which makes me so sad!) 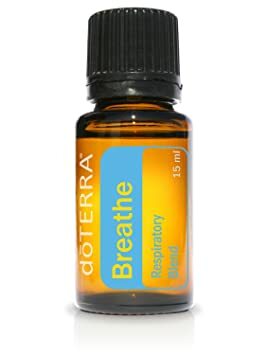 I've been diffusing lemon, breathe, orange, peppermint, and tangerine (separately.) Then in the laundry room I bought a pack of dryer sheets and just opened it and that solved that problem! I don't use them but just have them out to fragrance the air! Within a day or so it's back to smelling good! I haven't stopped putting things away and trying to organize and move boxes and hang things on the walls since we moved. But it's a huge mess everywhere. I'm trying not to let it make me crazy. Because of course, when I take the time to organize one thing, I turn around and 3 other areas have been ransacked! So I'm trying to enjoy small victories. A few weeks ago Amy from Keepin' Up with the Smiths (she's private, now) shared her garage organization and I copied her exactly! So at 9:30 on Wednesday night I was out in our garage tying on the signs. How great does it look now? Thanks so much, Amy! Too bad this is the rest of the garage. AH!!!!!!!!!!!!!!!!!!!!!!!! This week was the end of Carter's preschool year at Montessori. He loved school and learned so much but next year he'll be going to Pre-K at a school closer to our house. This was moving day- I'm pretty impressed that I got a picture before school in between the movers coming in and out! Somehow in the last week it went from 50 degree rainy- legging and long sleeve weather to 80's and shorts and tank tops! I've been sunless tanning every morning, but I wasn't quite ready for shorts and flip flop weather yet. A pedicure is on my list of to-dos this weekend, for sure! I've been ordering the boys a bunch of shorts and t-shirts but aside from the J.Crew shorts I ordered a few weeks ago, I'm totally lacking in summer wear! I need to spruce up my wardrobe. Yesterday I was so happy to get a box from Nordstrom with this tank (in white), these shorts (on sale), and finally I took the plunge and ordered these Chucks. And for once I may just keep it all, and that never happens! A few weeks ago I found old videos on my laptop and watched the video that we made on the day (September 9, 2011) that I found out I was pregnant with Carter. All I could see was how young I look! Oh how children have aged me! And now that I'm just about finished nursing I decided it was time to try Rodan & Fields Reverse regimen. So tomorrow I'll be taking my before pictures! Hoping this evens my skin tone and helps with some anti-aging too! That may take a miracle! We're leaving the mess and disorganization for the weekend and heading to the beach for Memorial Day with my family! I even packed 3 magazines, wishful thinking that I'll actually get to read them! But 70's and sunny sounds perfect! Of course, I'm linking up with April and Erika today, too! So glad that you guys are feeling happy and settled in the new place. The garage will get cleared out and organized in time, try not to stress about it too much (but I know that's easier said than done). Love the clothes you got, and especially those Chucks. I need to get a pair! Yay for being moved in!! I loved Amy's post about her garage organization. You will get the rest of it completed. It just takes time. Have a great weekend! Same weather here - cold and rainy for weeks and then suddenly it's hot and humid and SUMMER! Crazy! Glad you are getting settled and loving it! Those scents together for diffusing sound amazing!! And why is it that this school year just took the baby right out of our boys? !